PhuketSpace is proud to offer a range of Phuket apartments for rent on the stunning island of Phuket, Thailand. PhuketSpace has studio apartment rentals in Phuket Town, two-bedroom apartments in Phuket town, sea view studio apartments in Rawai, budget Rawai studios and condominiums in Chalong. PhuketSpace apartments for rent in Phuket town and Rawai apartments are fully-furnished and ready to move in to, with ensuite bathrooms and kitchen areas with refrigerator, in both the Phuket studio apartments and two-bedroom apartments in Phuket. The PhuketSpace Chalong condominiums are exceptionally well-appointed, furnished with European-style fittings and finished to a superb standard, with studios and two-bedroom Chalong apartments available. Our wide range of Phuket apartments for rent includes something to match all budgets. Availability is limited for our apartments for rent in Rawai, Phuket town apartments and Chalong condominiums, so please click here to contact us or send us an email to info (at) phuketspace.com. Alternatively, please call us on 080 532 1587 to arrange an appointment. Every Phuket apartment for rent has an English-speaking owner that you can pick up the phone and talk to at any time about your Phuket apartment rental. Should you need a motorcycle while you’re staying in a PhuketSpace Phuket apartment, you are may like to consider one of our bikes. We have three motorbikes to choose from – details here. To see comments from some past PhuketSpace customers who have stayed in our apartments in Phuket, please click here or the testimonials button at the top of the page. 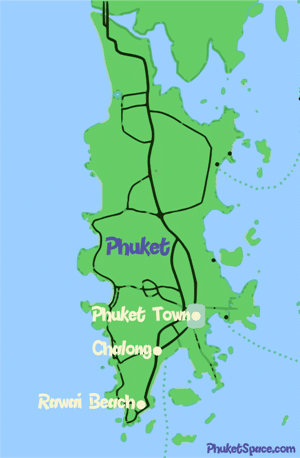 Apartment rentals in Phuket couldn’t be easier, with PhuketSpace.com. 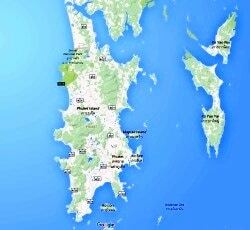 We look forward to meeting you, and helping you find your apartment in Phuket!